Have you taken photography workshops and still feel like there is something missing? If so, this workshop is for you. Do you feel you are still not creating the kinds of images you know you are capable of creating? If so, this workshop is for you. Bruce Jackson is a rare artist who possesses both the gift to create masterful images, and the ability to teach how it is done. Bruce provides the most unique and rewarding learning opportunity in Nature landscape photography today. For a full week you will eat, sleep and breath the life of a master landscape photographer. You will learn every element required to create great nature landscape images because you will actually be participating side by side with Bruce in every aspect of the creative process. And the best part of all, YOU WILL DO IT ONE ON ONE. No distractions--only focused interactions. Your participation will include researching and selecting the locations you are most passionate about photographing, reading weather patterns to anticipate the special conditions required for great images, doing what is necessary to place yourself in the right place at the right time. Once on location, you will learn to create in Nature's rhythm. You will learn to see and most importantly feel Nature as never before, and successfully record your experiences on film. Jackson believes the best way to learn is by doing, to immerse yourself completely in creativity and remain conscious through the entire process. Bruce states, "It's amazing what can happen when we are willing to commit full attention to our creative selves. To allow our creativity to naturally unfold as we let go of the distractions and stimulation of our daily lives is the key to great images." 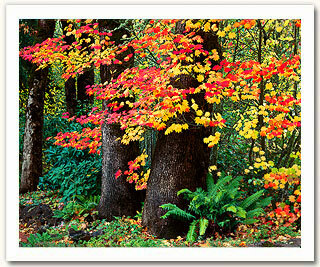 If you desire to experience the photography workshop of a lifetime, please call Bruce to plan it today: 541-388-3864. The price for one full week is $3,500. Food, lodging and transportation to the workshop site is additional.